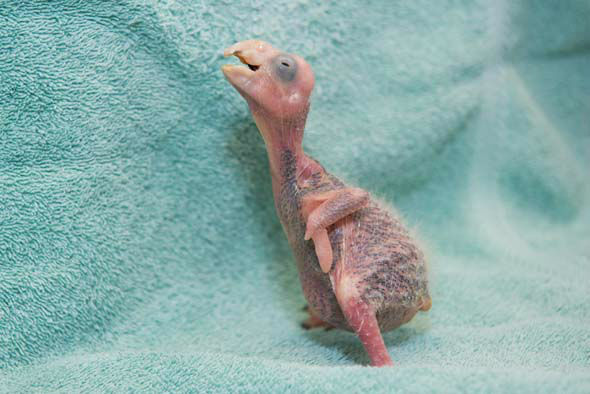 HOUSTON (KTRK) -- A rare Amazon parrot hatched at the Houston Zoo earlier this summer, and now we're getting our first look at the adorable little bird. 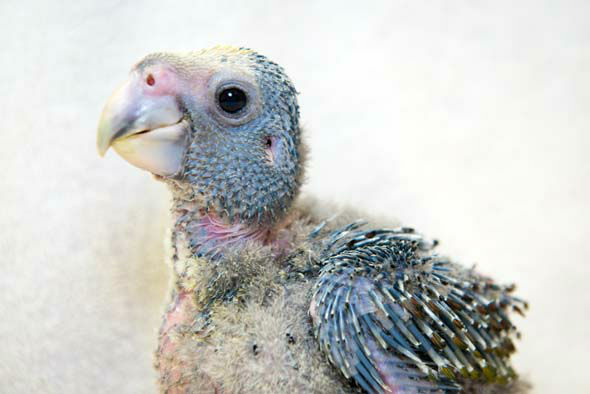 Mustique Springer, a male St. Vincent Amazon parrot, hatched May 24 and weighed only 16.69 grams. 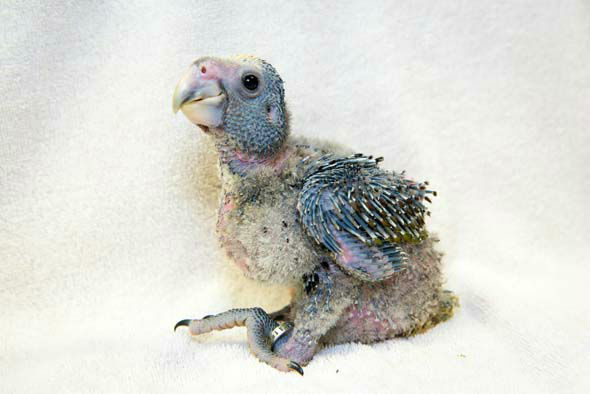 Now, the bird is 510 grams, though it'll still be a few years before he makes his public debut at the zoo. 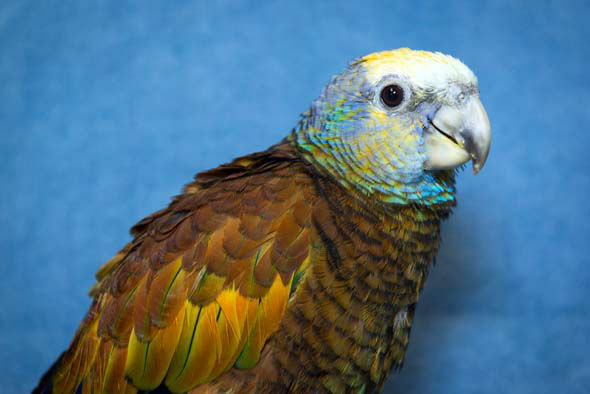 Zoo officials named him Mustique Springer, or Springer for short, after Mustique Island, which is off the coast of his native St. Vincent, and Fitzroy Springer, a man who dedicated his life to the conservation of this species. 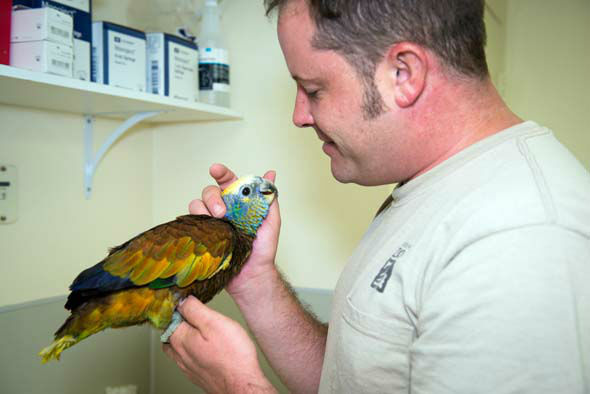 A team of bird keepers at the zoo have been hand raising Springer since he poked through his shell. 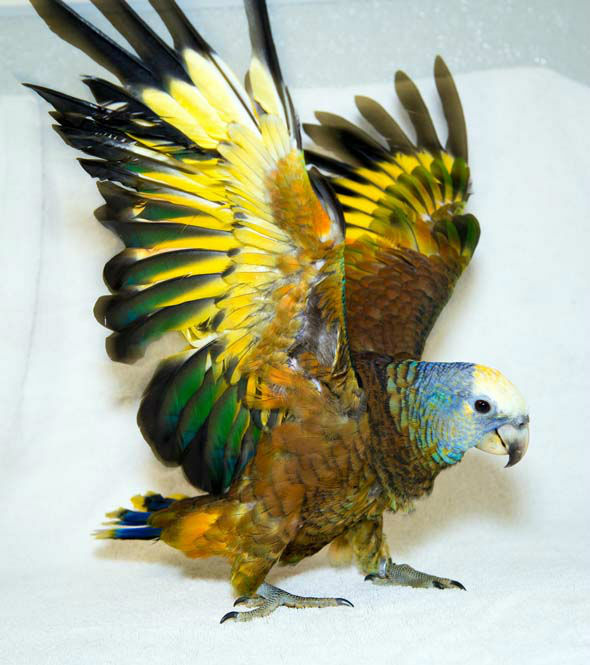 "Hand-rearing a bird is a time consuming process," said Chris Holmes, assistant curator of birds and Springer's main caretaker. 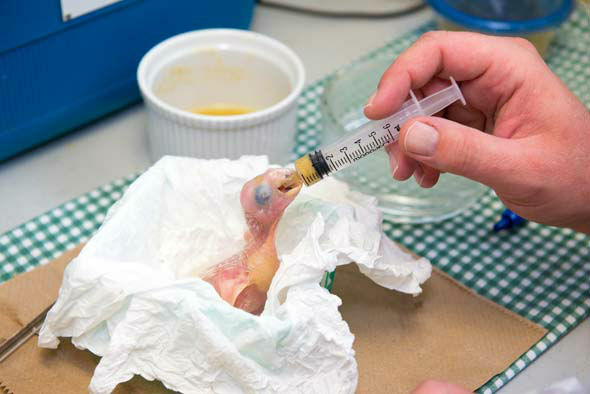 "Life revolves around the chick's feeding schedule and sometimes you forget to feed yourself! 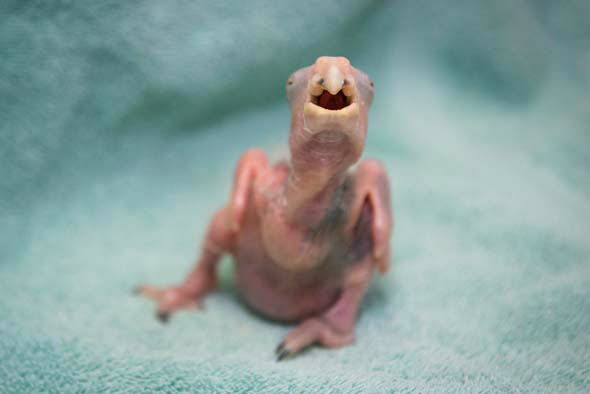 It is very rewarding to know that the chick you are investing so much time in could live for hopefully 40 or more years." 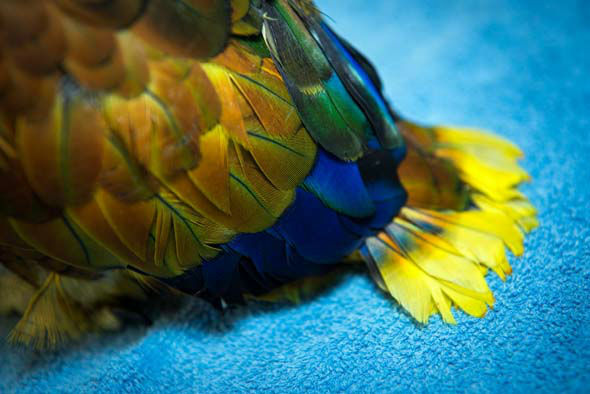 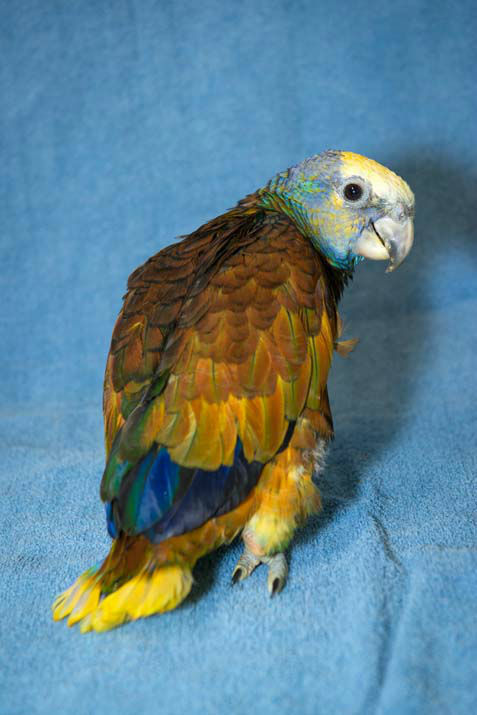 Springer is the fourth St. Vincent Amazon parrot hatched at the Houston Zoo and the first male since 1972. 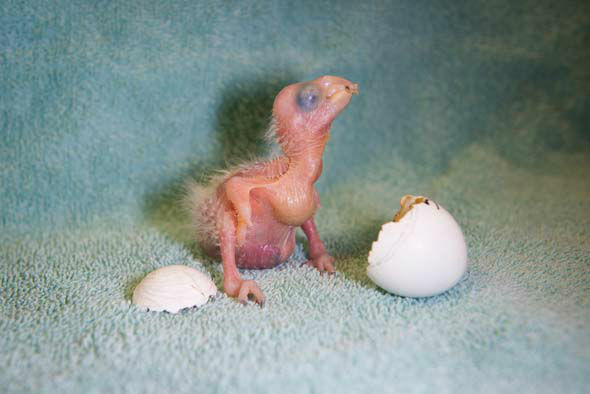 But the little chick's birth is significant in more ways than one. 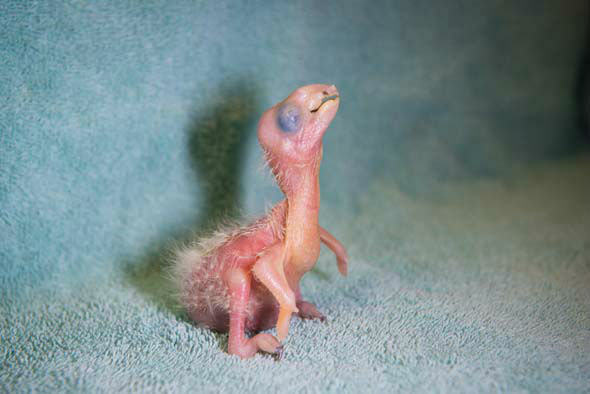 His mother, Baliceaux, was also hatched at the Houston Zoo in 1999, and Springer's birth marks the first time a Houston Zoo-hatched bird has reproduced. 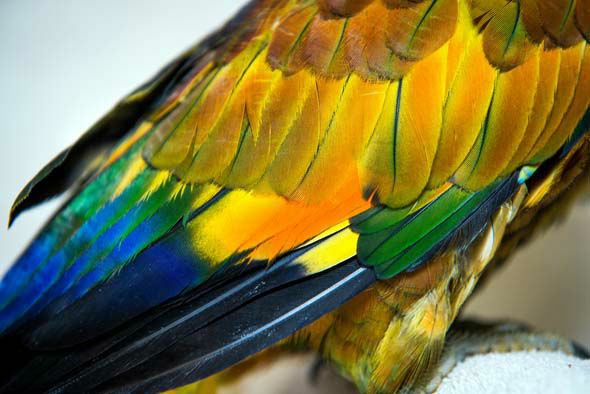 Springer's species also is classified as vulnerable on the IUCN Red List. 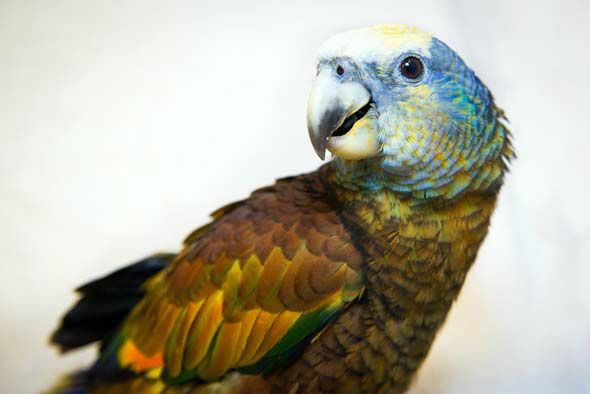 In 2004, a census shows there is estimated 734 St. Vincent Amazon parrots remaining in the wild, though their population is slowly increasing. 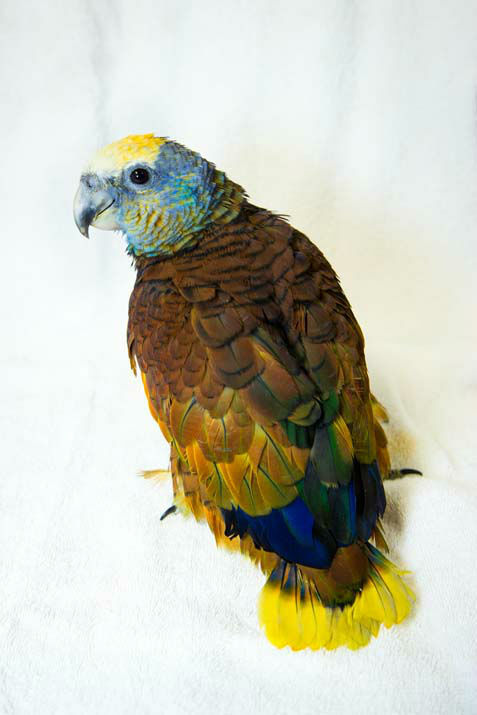 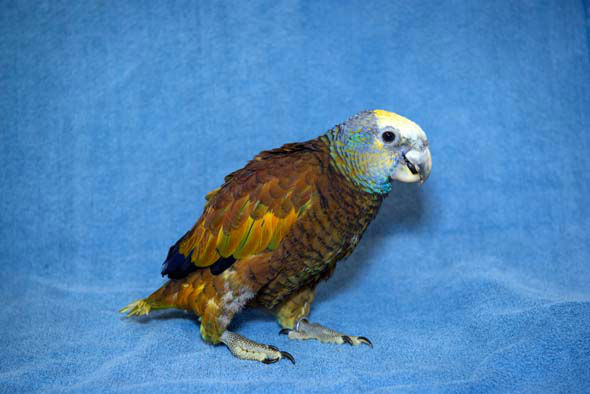 The St. Vincent Amazon parrots are the national bird of St. Vincent Island and the Grenadines. 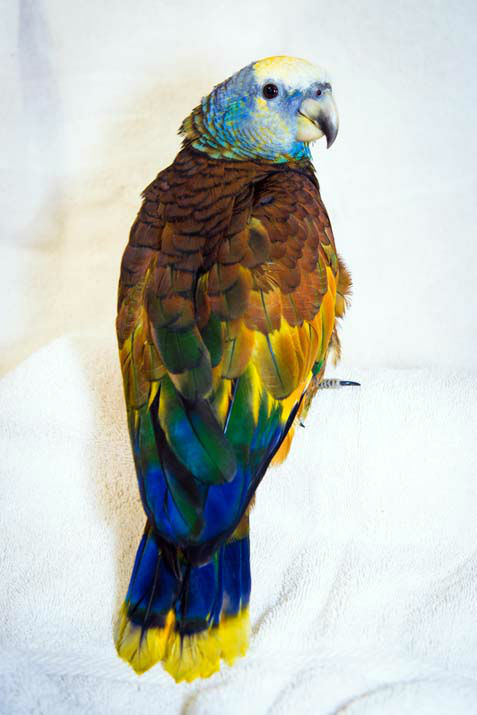 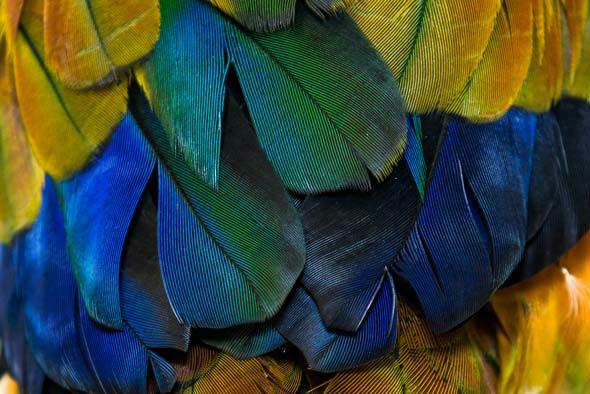 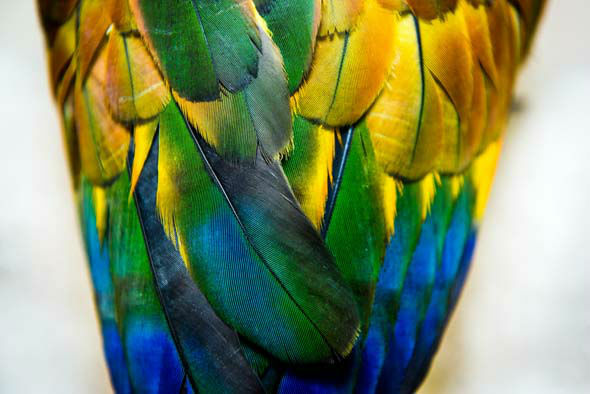 Although they are characterized by their unique multi-colored feathers, Springer was born with whitish down and will continue to get more colorful as he matures.